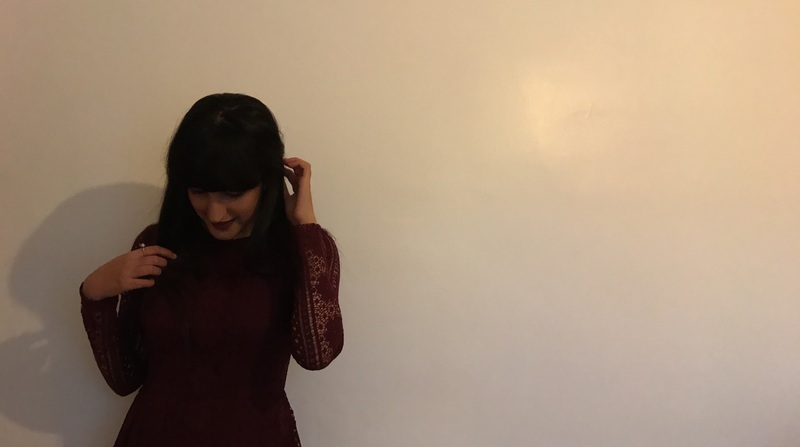 I don’t know how I’ve coped without posting any outfits lately but I assure you there will be many outfit posts coming up as of today! 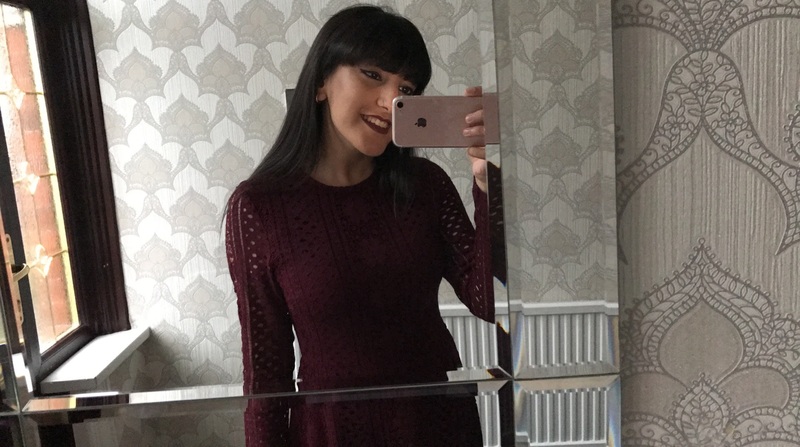 Last weekend me and my family went for a meal in the evening so I had an excuse to put on an outfit which I think is so pretty and I will be wearing quite often. Normally I wouldn’t be the one the one wearing a dress but I was. 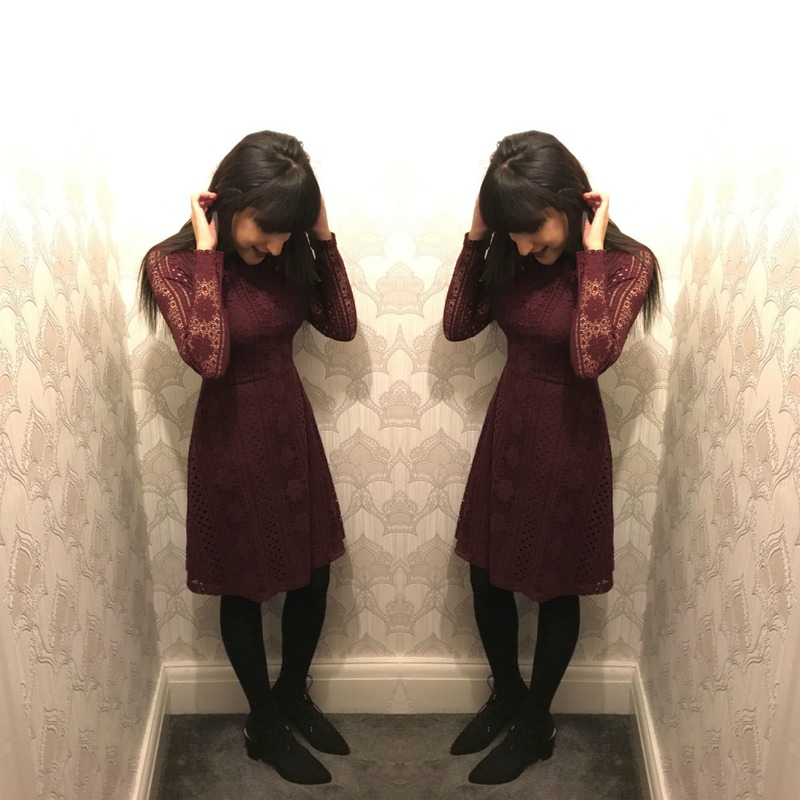 Burgundy Lace Long Sleeve Skater Dress – New Look. I bought this from New Look and honestly it is such good quality and as soon as I saw it I knew I had to have it. Once I tried it on, there was no going back I loved how it looked on and I knew I could compliment my make-up with this so well. Point Heeled Lace Up Heels – Primark. I purchased these a while ago but haven’t had a chance to wear them this was the perfect oppertunity. I love the little lace up which just adds that little something than a standard pair of heels. Also, as it was quite cold I think black heels are acceptable however you could be a bit more adventurous if it was a little warmer with a gold pair of heels and accessories. Gold dainty rings and necklace – Orelia (Topshop). Orelia is one of my favourite brands to pick up jewellery from they have a large range from gold to silver for this outfit I went with gold as it compliments the outfit however I did leave my Pandora birth stone ring on. Other ways you could style this outfit is with a gold envelope clutch or even a black one this would just bring all together perfectly even with maybe accessories in you hair like gold hair grips or even a hair band. 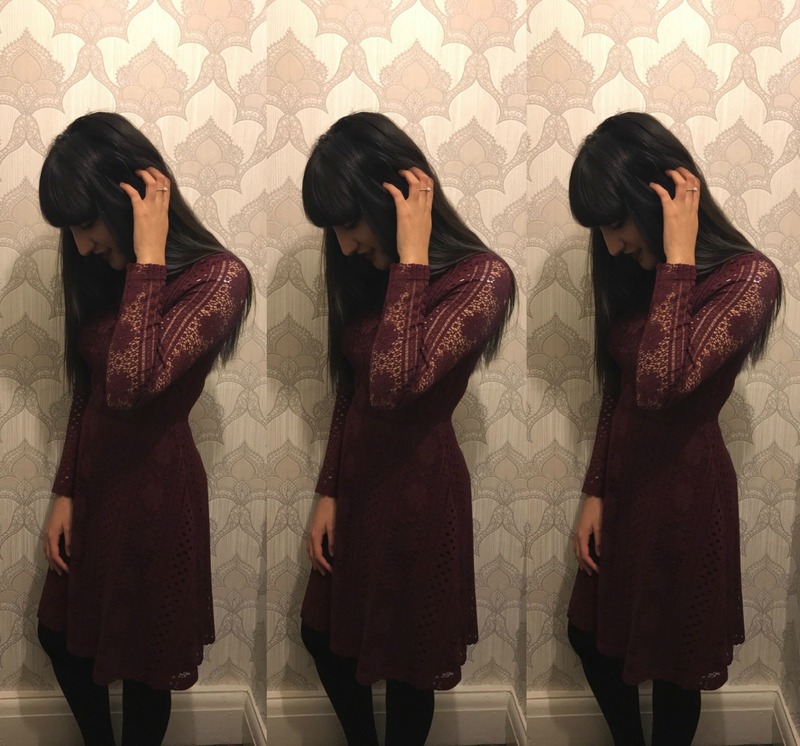 What’s your favourite OOTN recently? Comment below. « What I got for my 18th Birthday! The dress is gorgeous! you look stunning!